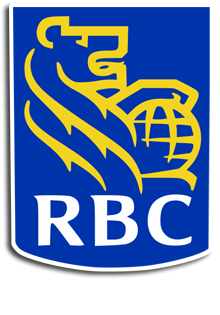 RBC will hold an hour of special events and activities to commemorate International Women’s Day on March 8. RBC will celebrate its inaugural Women’s Hour, 1-2 pm, as part of a global series of commemorative events centered around International Women’s Day March 8, 2013. All employees around the world, including the 20 countries and territories across the Caribbean region where the bank operates, will mark the occasion with special activities or events in celebration and recognition of the advancement and achievements of women. The activities range from wearing the colours white, green and purple in support of International Women’s Day and financial contributions to several non-government organizations across the Caribbean region, to employees nominating and celebrating unsung women leaders in their communities. In The Bahamas, a $10,000 donation will be presented to the Bahamas Crisis Centre (formerly Women’s Crisis Centre). Opened in 1982 by Dr Sandra Dean-Patterson, The Bahamas Crisis Centre provides assistance to women who are victims of abuse. In addition, a public exhibition called “Outstanding Women of The Bahamas” will be mounted in the RBC main branch, Bay Street and 10th grade girls of CV Bethel Senior High School and CR Walker Senior High School have been invited to view the exhibition and attend a luncheon with female executives of RBC. Sookoo mentioned that companies with more women senior leaders typically have higher total returns than those with fewer leadership roles. “Without question, women as the backbone of our society, bring unique and invaluable contributions to our social fabric, and to the success of the business sector. As our society continues to draw on their contributions in order to succeed, gender equity is an enduring testament of a country’s social, economic, and cultural development,” Sookoo said. Globally, close to 60 per cent of RBC’s 80,000 employees are women. In the Caribbean, of the more than 6,400 employees, women represent 33 per cent at both the executive and senior management levels, and constitute 58 per cent at the management level. Vancouver Sun journalist Steve MacNaull says sailing between the cays in The Bahamas on a 39-foot three-bedroom, two-bathroom catamaran is the "farthest thing from traversing the water in one of those mega cruise ships." Read his account of the luxury tour of the Abaco cays here.